The words you are saying with regards to the need of ISKCON to change ring true. The only concern is that although you have pinpointed some of the problems your solutions are very naïve. Swarup Prabhu has nailed it, in one way, but he too does not see clearly what is actually happening even though he offers himself as an advisor. There is no way known on this earth that these guys will listen to Swarup prabhhu or anyone for that. To think that they will take good counsel means that you have not fully understood the complexity of the issues at hand. These devotees are not bewildered or confused. They in full control of all their faculties, all they lack in true intelligence to understand who Srila Prabhupada is and what his purpose is. If you still refuse to believe, you will certainly have to accept what I am saying when you consider that these guys more or less defeated Windel Turley in the Class Action Suit against them for the child abuse that went on in their gurukulas. This is the same high brow legal firm that won the case for the children who were abused in the Catholic Church! This is no minor accomplishment. The Catholic Church organizationally speaking is akin to the MacDonald Corporation and ISKCON is like the corner short order burger joint in comparison. If they had actually engaged in devotional activities for all these years they would have earned enough bhakty-unmukhé sukåti to be able to see that what they are doing is wrong. They would in fact understand that by committing such horrendous acts against Krishna’s pure devotee, they would suffer a hell worse than one can ever imagine. Even a rudimentary understanding of karma or reincarnation would find the semi intelligent person shying well away from such activities. But they stand in their defiant self righteousness, firm in their belief that they must destroy the true ISKCON at all cost. Dhirasanta prabhu, the ISKCON that stands today is definitely “not” the same ISKCON that Srila Prabhupada established. It has been purposefully taken over by a certain group of individuals, most of whom, come from the same cultural background. The true ISKCON – that Srila Prabhupada with not only old age at hand, but, all the problems associated with an aging body; sailed across the ocean to a foreign land, bled gallons of blood to not only teach us everything that he knew, holding nothing back, while writing volumes, and simultaneously building a worldwide Society; therefore fulfilling Lord Caitanya’s desire – has been usurped. The most amazing thing Dhirasanta prabhu is that the devotees of whom you suggest as the ‘solutions’, Devamrita Swami and Radhanatha Swami, are some of the very same people who I am writing about. They have never ever, ever followed Srila Prabhupada. These people may have different styles but their objective is one and the same. To aid in the supplanting of Srila Prabhupada’s ISKCON and turning it into a modern day corporate pseudo (Cheating) religious institution, so it will become spiritually impotent and therefore unable to create the “spiritual cultural revolution” that Srila Prabhupada instructed us to achieve. They are against Dharma. You admit that Devamrta Swami’s Lofts are not owned by ISKCON. What does this mean? 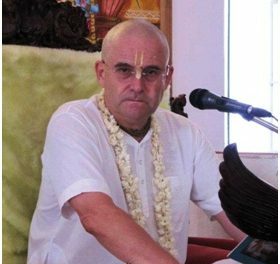 He is a GBC, Rubber Stamped Guru and an ISKCON Sannyasi, how can he be both inside and outside ISKCON with his preaching? What is he afraid of? Not the ISKCON that he has helped to create, surely? Maybe he is afraid that when he finally gets kicked out for being offensive, rebellious and independent that he will still have a fallback income and status. Radanath also has the same escape plan. His Chowpatty Temple is not in ISKCON’s name either… You must remember that if he is able to get any disciples at all, it is only due to Srila Prabhupada’s mercy and knowledge. If it was not for him having a senior position in the ISKCON that Srila Prabhupada has created he would be no different to anyone else who walks the street. The devotees that he or anyone else makes belong to Srila Prabhupada’s ISKCON. They are not his or the fake institution that they are attempting to set up. Nor is one single dime that he gets to fly him around the world and open up centers in New Zealand, Australia or anywhere else for that matter. As for Radhanath, his greed and ambition / fake persona are famous or should I say infamous? The only thing that differs between Devamrita and Radhanath is that Devamrita tries too hard for approval from his audience while Radhanath is the consummate Thespian. The other members of the New Vrindavan Circus such as Bhaktisiddhanta Swami and Veda Vyas Swami are no more than clowns (Well maybe Veda Vyas’s sexual appetite makes him a pervert) who, no one takes seriously. Devamrta Swami’s was sent to take over Australasia and to team up with Ramai Swami. Their Grand Master, the ubiquitous Radhanath, is doing the same with the rest of the world. Radhanath has been very successful and now has controlling interest in most of the important temples and projects in ISKCON. 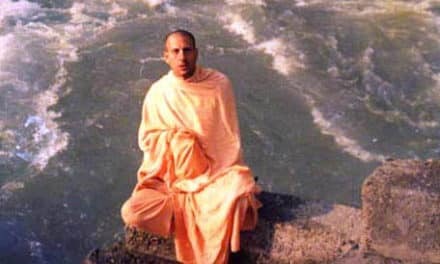 Who is this Grand Master and future archarya Radhanath Swami anyway? He is coming from a criminal family background (The fruit does not fall far from the tree) and his history in ISKCON reads like a murder mystery paperback novel and his present ‘rebirth’ into ISKCON history reads like a corporate crusader fictional paperback novel. He now stands on the threshold of being offered the long awaited crown of the next Messiah of ISKCON. The old rubber stamp Guru regime tout him as the next Grand Master Acharya… that is only after Tamal was unceremoniously booted out of his body of course. These guys need a Messiah to lead them. Bir Krsna Goswami can’t be their leader; he has money and position, but, not the charisma or stamina. Ravindra has the charisma of black salt and the looks of a monkey. Only Radhanath can pull it off with his dramatic theatrics and swooning manner. And we all know that the sentimental devotees run after swooners… don’t we Dhirasanata prabhu? This New ISKCON Order has hijacked the true ISKCON and has successfully set up a “shadow” ISKCON. We believe that the ISKCON that we are dealing with is the real ISKCON. But it is not. It is a mere shadow. 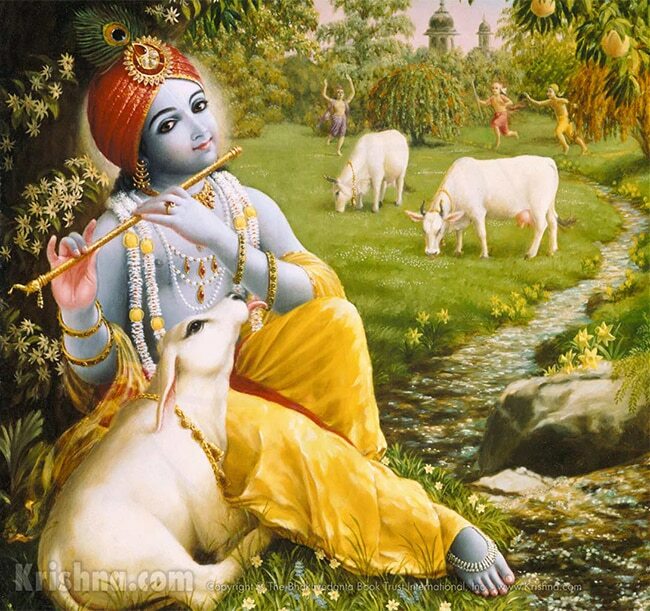 In actual fact the true ISKCON has been secreted away to realm of history and found under the title of – myths and legends of Krishna Consciousness in the west. The author is the BBTI (BBT International). As evidenced by its activities the ultimate purpose of this shadow ISKCON is to make the Sankirtan Mission that Srila Prabhupada established – lie crippled and useless. Right before our very eyes they have swapped the true ISKCON for one of their creation. We have all watched them create a new management in the form of the Bengal GBC, the Deputies, BBTI and now the Strategic Planning Committee. They have successfully created an ISKCON that looks like the true ISKCON but has a vastly different infrastructural and superstructural orientation. The Infrastructure and Superstructure that Srila Prabhupada initiated is no longer there. The shadow ISKCON now have a very secular and pseudo religious infrastructural and superstructural orientation. The base (economy) of the true ISKCON is by the distribution of Srila Prabhupada’s unchanged books and the superstructure is under the auspices of Srila Prahupada derived from his books, lectures conversations and letters etc. The infra structure is delineated in Srila Prabhupada’s DOM, Constitution, Will and other relevant instructions. Whereas the individuals who have created the shadow ISKCON have simply installed an ISKCON “skin” (Like one would do if one had XP and thought that Vista looks so cool, so they installed a Vista Skin for their XP making it look and feel like Vista when it is really XP) over the materialistic pseudo religious organization that they have created in the disguise of devotees and in the name of Srila Prabhupada – they have fooled us all! Now we all bow to the Shadow ISKCON which is the Bengal Incorporated GBC and the BBTI whose main concern is the total dismantling of everything “Prabhupada” from the true ISKCON. The BBT does not represent Srila Prabhupada anymore. He is nothing but a “Hired author” of the BBTI. Try and get a copy of the 1972 BG from the BBT. No? Oh it’s out of print… But the BBTI version, the shadow version is available in abundance! Does this not strike you as funny? This imposter ISKCON has no use for us. They think of us as resources. Like baby fur seals which are clubbed to death by the demons who only want their fur; the hunter’s only use for seals is that they produce cute white baby seals for the hunters to club to death and sell their skins. 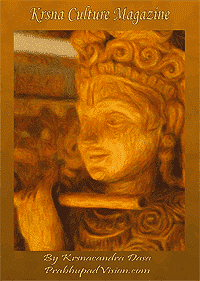 Like them we are used, misused and then abused, by this shadow ISKCON. They don’t care about us. They don’t care about farming communities for either us or the devotees that they have made, so we can live simply and think high. If we had farms we would have no use for this shadow ISKCON. After more than thirty years they have never given any attention to farming communities only the harvesting of new bhaktas and money collections in their urban centers. What have they done about Brahminical culture, Cows or Farms? Nothing! All they are interested in is pushing bureaucracy, urban centers and academic schools and colleges. Just see who is going to China now. 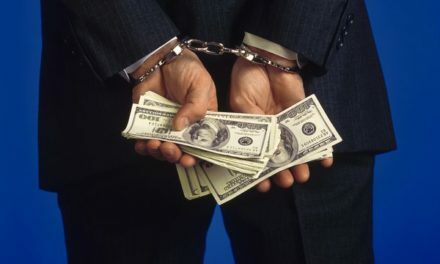 Well that is the story of the old “Rubber stampers / Prabhupada deniers” sucking their godbrothers and western countries disciples dry and leaving dried out husks behind in their wake. Now the second wave Provincial Grand Masters and corporate lackeys like Braja Bihari, Gopal Bhatta, Sesa, Badri Narayan and Pragosh are pushing ahead with the secular infrastructural and superstructural changes needed for the smooth transition of the old to the new ISKCON. These guys are not so interested in disciples. They are more suited to careers in the corporate world as opposed to the guru racket. The usurping BBTI Trustees: Gopal Bhatta – irregular chanter, does not follow the 4 regs, shrewd businessman/lawyer; Nareswar – Nasty Embezzling, Sexual Predator and Satsvarup’s “Naked Reiki” Therapist – Pranada dd ) is handling all the legal work to make sure that everything is tight and secure with regards to Srila Prabhupada’s books being kept räja-guhyam. The GBC stonewalls any attempt by the rank and file to hold them accountable. The Deputies provide further buffering interference to the GBC. The rubber stamped gurus will use the new franchised goshalas (Temples) to milk the human cows. The Justice Ministry headed by Sesa will make sure that injustice is upheld against the true followers of Srila Prabhupada under the new ISKCON Law Book/New Constitution. The Ministry for Educational Development is busy teaching our kids to be nice consuming secularists. Our concerns and problems dissolved by ISKCON Resolve. 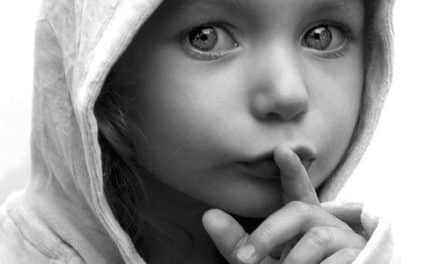 The cover-up of the abuse of children is handled by the pseudo International Child Protection Office. The media handled by Dandavats, Chakra and ISKCON Communications. All corporate positions will soon be filled by career devotees (employees) who get salary packages. Adult devotees trained in western academic style management in their colleges, will go on to take over the paid positions in the New ISKCON Institution and be loyal and subservient to their employers. All farming communities sold off and only one or two kept as retirement estates for the rich and wealthy ex Sannyasis / Gurus / GBC’s and CEOs of the shadow ISKCON. Devotees will be counseled in the multi tier pyramid counseling system of Radhanath. Australasian devotees will be held aloft from the true ISKCON in Devamrita’s private lofts and slowly milked. Braja Bihari, Gopal Bhatta from the Strategic Planning Committee will oversee this whole shemozzle being properly implemented… It is more or less a done deal. Soon there will be no need for Sankirtan. New devotees will simply read the BBTI’s books, live at home, work or borrow money to do one of their academic courses in their colleges and get a job in one of their franchised projects (Temples). Like a mini Catholic Church. Even now the shadow ISKCONs churches lie empty. So if you are actually serious about doing something about the problems of ISKCON that you speak of then I would strongly advise that you try and understand what is really happening in ISKCON. If anyone really wants to do something about this then they have to do something. Not just sit there and watch it happen, complain or reach for a Red Herring solution that is based on sentiment or ignorance. Educate yourself then speak up. Make a stand if not for yourself but for Srila Prabhupada. There is no denying what is happening. We are fully informed. This is not the ISKCON that Srila Prabhupad established, which is something that even the usurpers would not deny. They openly say that Srila Prabhupada is old hat and they are the new hat. That they know better than Srila Prabhupada. That only they can truly understand what Srila Prabhupada has said and it is all a mystery to us poor innocent fools. Not one of us, the ones that have had our eyes open, will bow to them. They know this. We know this. So what will we do about it? Keep reading stuff on the internet, stay away from the temples and only go in to the Temple for Janmastami and pay for the self service feast? What about the new devotees surely you can read? What do you think of all of this? Do you still believe in your gurus who stand in front of Srila Prabhupada and keep you like a mushroom – kept in the dark and fed cow stool? Why do you still support them? Why do you give them your hard earned money when it does not go to the movement but it goes to their own pockets, projects and households? It amazes me how much we can let happen to our dear Srila Prabhupada’s movement and our own lives. We have the power to stop them. It is not too late. More and more devotees are being well educated as to what is actually happening to us and ISKCON. We just have to make a stand. Their weakness is that they are relying on our doubt, our ignorance our silence, our apathy and our sense of impotence. But surely we can take them? Surely the Antelope has one last kick left? Prabhavisnu Dāsa is pushing to be a Dīkṣā Guru – Again?? ?